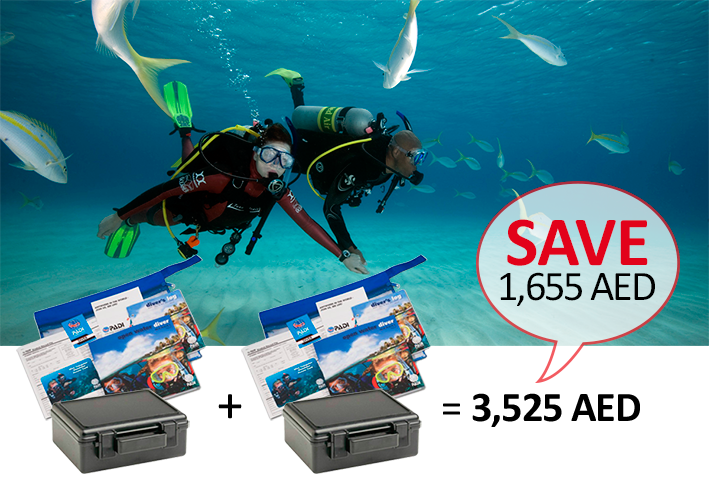 Dive The Dubai Mall Aquarium and Underwater Zoo! 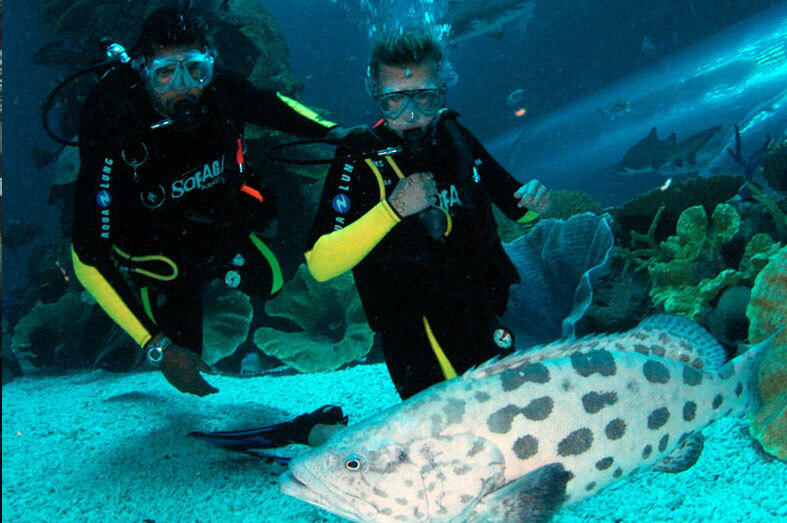 The aquarium is the largest suspended aquarium in the world and houses one of the most diverse collections around. 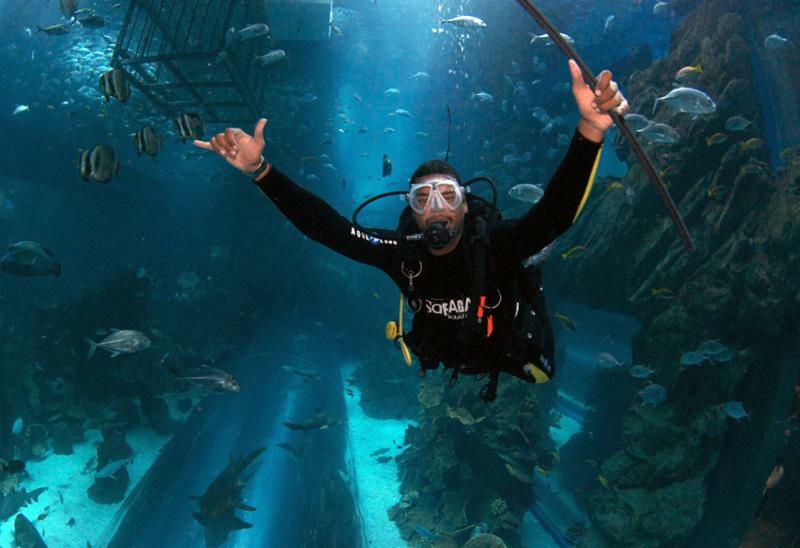 There are over 400 sharks and rays in the tank, including the world's biggest collection of Sand Tiger sharks. There are also many ray species in the aquarium including cow-nose rays, fan-tails, eagle rays, leopard rays, shave-nose rays and bowmouth guitarfish. Other fish in the tank include tropical species such as napoleon wrasse, batfish, big-eye trevally, clown fish, faint grouper, giant trevally, moray eels, snappers and unicornfish. 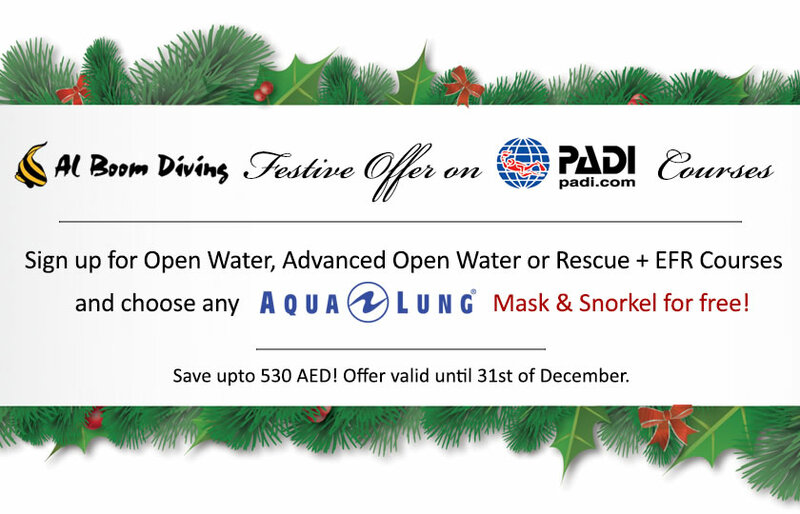 Al Boom Diving offers you Pleasure Dive, Discover Scuba Dive, Cage Snorkeling, Shark Walker and Specialty Dubai Mall Aquarium Course experiences!